you are welcome ..i'm trying to hang on a few weeks until the release of the next blu ray box set to do my episode post from this episode , the images from the older dvd's are ..well lets say not up to what they can be ..thankyou . I'm glad you posted these - gives me an opportunity to use one of my favourite icons! Ha ha..now we know what Bodie and Murphy are looking at....glad you like this and thank you for looking. Lovely group of photos, I love the b/w! Nicely done. 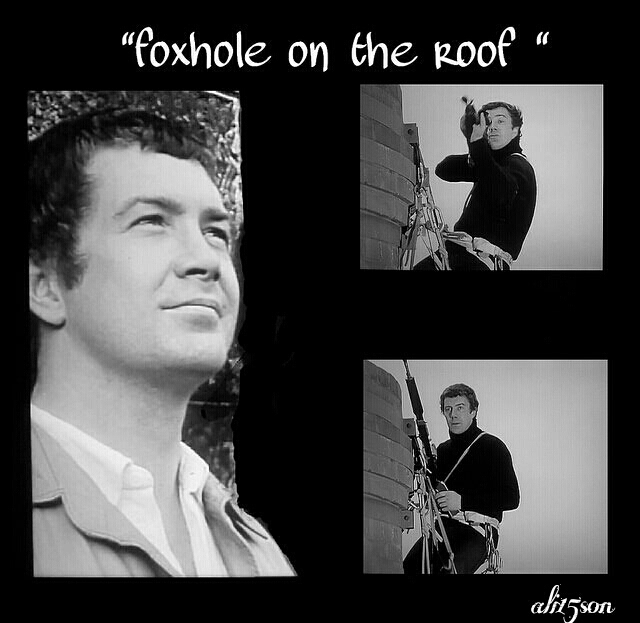 I love the scene in the ep with Bodie and Murphy eyeing up the chimney stack. They seem very easy in each others company. thankyou ..yes it's this part of the episode that i love , the chimney stack, Bodie trying to take them out from the top of it , not giving up when Murphy takes a bullet..wonderful stuff . Lj being a mare today...arggh! they are so at ease with oneanother ..another wonderful scene. Yes - I can totally see how that'd inspire Murphy-as-Bodie's friend fanfics. Oh, a new black and white collection of this handsome looking man! I love the second one on the right side! thankyou so much for looking at this collection of "handsome" Bodie images...glad you like them and thankyou for commenting. One of my favourite eps and "#4 "IN THE PUBLIC INTEREST" is one of my favourite faces! thankyou so much for taking a look at both of these images , your comment is much appreciated ...glad you like them. Beautiful montage! Bodie in action on the right, and Bodie still and looking gorgeous (oh that skin!) on the left. Well done! thankyou so much for looking..I do love the chimney stack scene and the action that follows and yes Bodie never giving up even when Murphy is shot ..love it . i love him when he's in that kind of form .